Would be all of the ones below combined. This is it. It's THE One. I have a love/hate relationship with open shelving but the way this kitchen is set up, I sure as heck am loving it. Keep it tidy and simple and you can't go wrong with open shelving. Subway tiled backsplashes are everywhere. I might have to join the bandwagon. 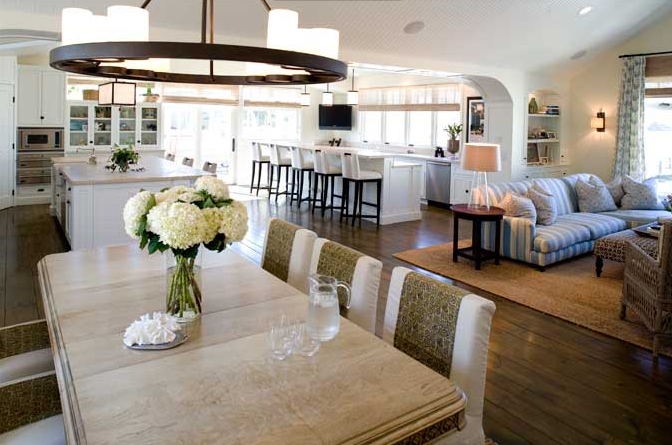 Open floor plans are great for entertaining. Everyone is a part of things. 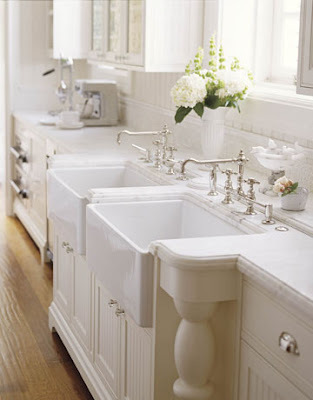 I go gaga for Farmhouse sinks and fixtures like that faucet. Insert drool here. Gee, I wonder if I like white kitchens? 'Like' doesn't even begin to describe how I feel. White cabinetry, marble countertops, wood or tile floors, stainless steel appliances, brushed nickel hardware, a large island...I could go on and on about them. 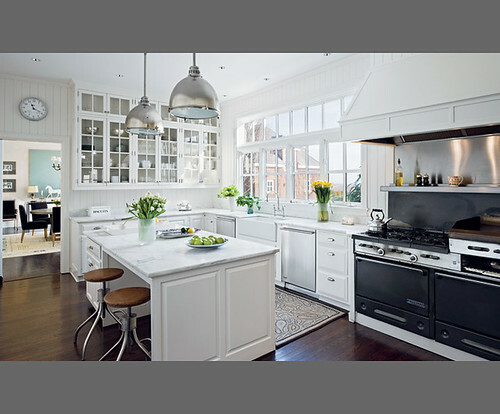 Well, with all this talk of table runners and tablescapes I thought I would share with you images of my dream kitchen. Makes me want to paint my cabinets white but shh! you didn't hear me say that. Next - things to fill up my dream kitchen with! These kitchens and designs are looking awesome i love this blog. I'm having a bad time, this shock is too big for me. I had given up his great love to come to a decision to divorce.